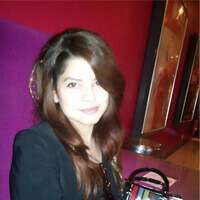 Namita Verma now IP Associate in Dart IP ( kolkata ), world’s leading Intellectual Property management and technology company. Here I’m sharing the success story of one of our alumni Namita. Namita is a law background student. After her senior secondary and intermediate she decided to get into law field. She completed her B.A.LLB (Hons.) from Lucknow University, Lucknow. After her LLB she started practicing of legal drafting and court appearances in District and High courts of Lucknow. After that she decided to get into IPR field. She joined the course as she got to know that the IIPTA is offering job oriented course with very less fee. She joined for JOPATP. Today she is successfully placed in Dart IP ( kolkata ) , world’s leading Intellectual Property management and technology company on the post of IP executive with very good salary package and she is performing well at her job. Namita gives most of the credit of her success to her parents and IIPTA team who always remained very supportive. Her dream is to fulfill her parents expectations. Here’s wishing her all the very best for her future endeavors.